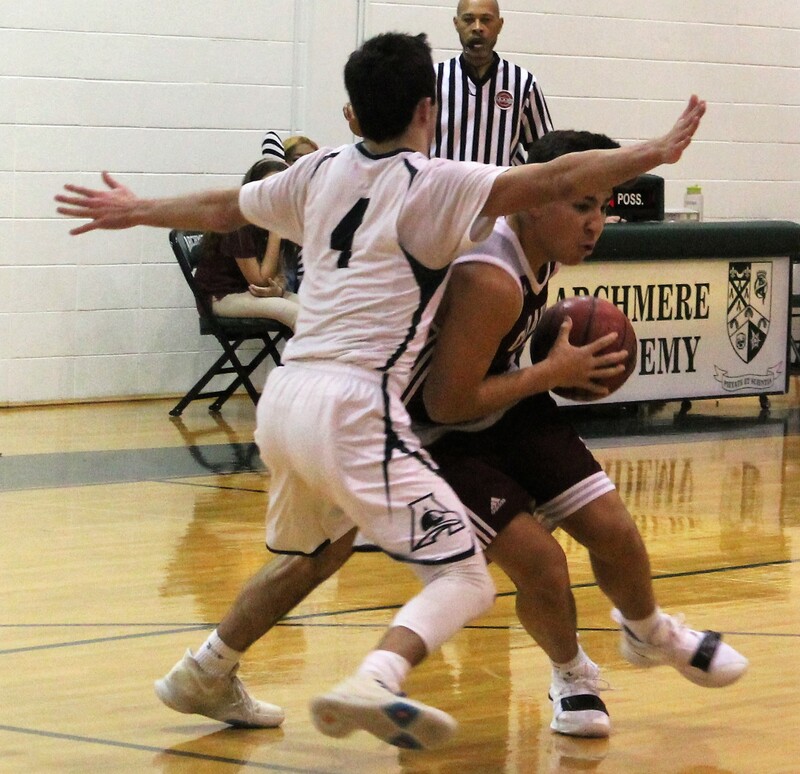 CLAYMONT – A 14-0 run in the first quarter was too much for Archmere to overcome as the Auks fell to Caravel, 62-41, on Feb. 7. It was senior night at the Mogila Fieldhouse; seven Auks were honored before their final home game. 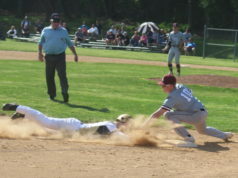 It was just the sixth home game for Archmere this season. 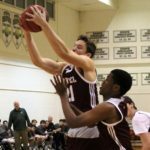 The seniors honored were Darren DiRenzo, Jamil Comeger, Will Schatzman, Tim Rogers, Mike Marino, Louis Rosato and Daniel Bastian. The Bucs scored four early points before DiRenzo got the Auks on the board with a short field goal. 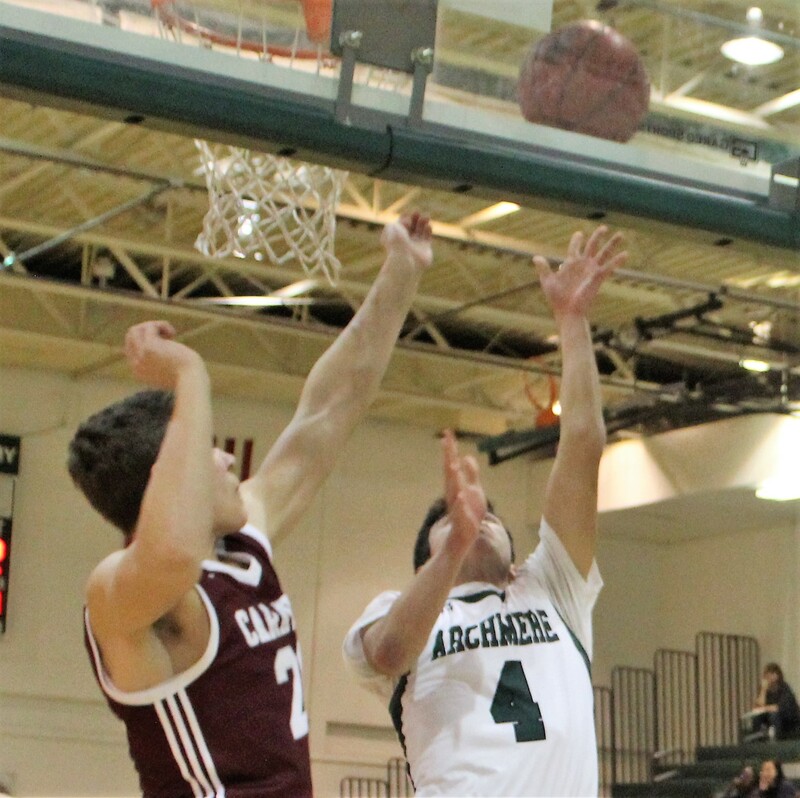 That would be the last Archmere bucket until late in the period, and in the meantime, Caravel’s prolific offense went to work. 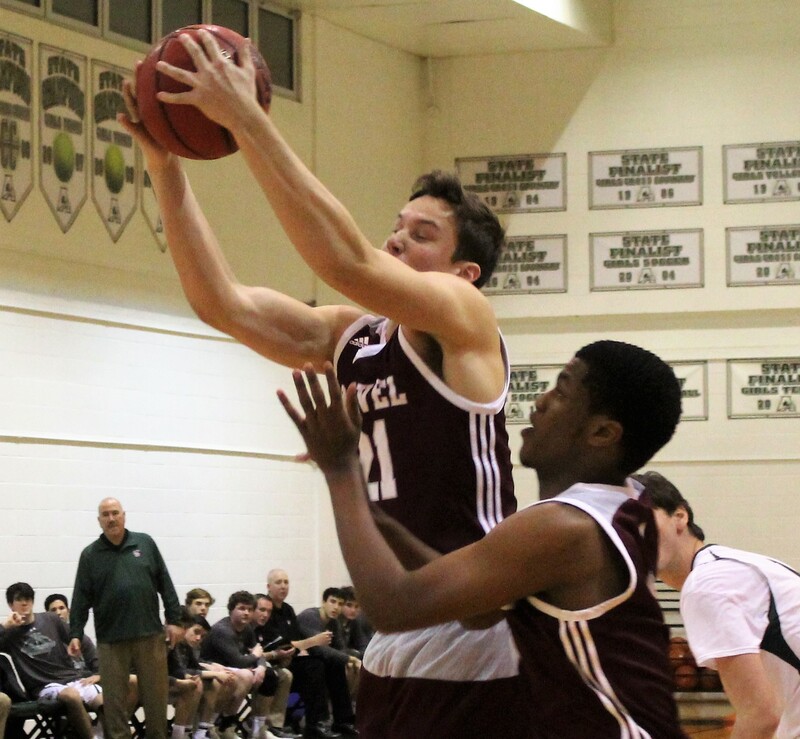 Jordan Nasuti, who opened the scoring for the Buccaneers, showed his versatility on offense by burying a three-point shot, the first of three for him on the evening. 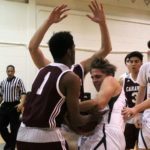 All five Caravel starters scored during the run, including Kevin Keister, whose twisting reverse layup pushed the lead to 16-2, prompting an Auks timeout. 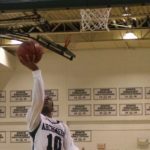 The Bucs added one more field goal before Comeger got one back for Archmere, and DiRenzo made another bucket before the period ended. 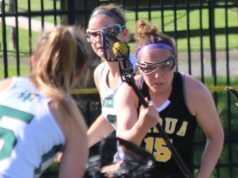 The Auks’ offense picked up a tick in the second quarter, but they struggled to keep pace with the Bucs. Nasuti opened the stanza with another three, pushing the lead to 21-6. 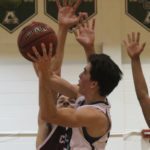 Caravel’s height advantage resulted in limited second chances for the Auks, but to Archmere’s credit they drove the lane incessantly to pick up points. DiRenzo came out with a purpose after halftime, scoring eight points in the third quarter, going down the lane time after time. 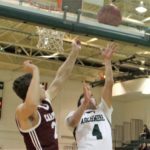 Bastian had a three-pointer, and Comeger beat the buzzer with another triple to cut the Bucs’ lead to 48-33 heading into the final eight minutes. 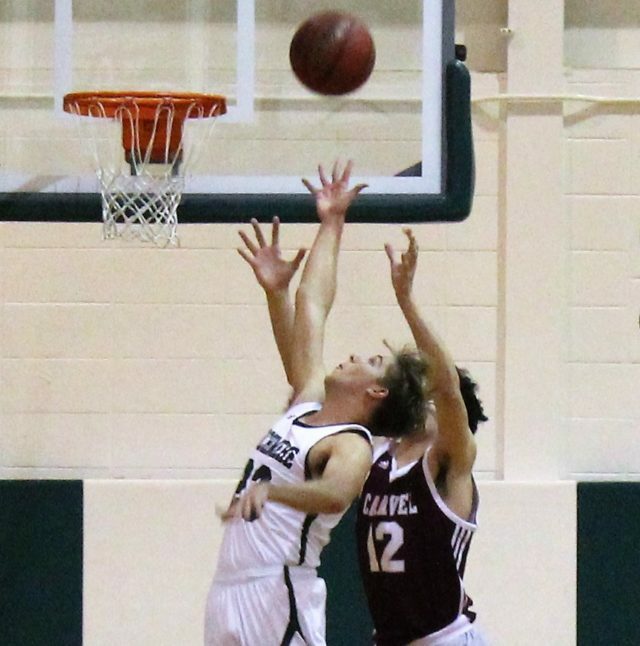 But the Auks would get no closer, as Nasuti drained a baseline three-pointer to open the quarter. 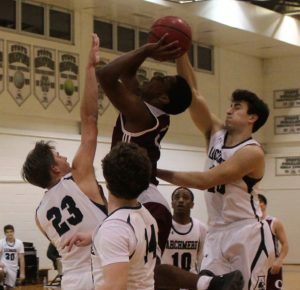 He ended his night with a steal late in the game that he picked up and turned into a dunk. 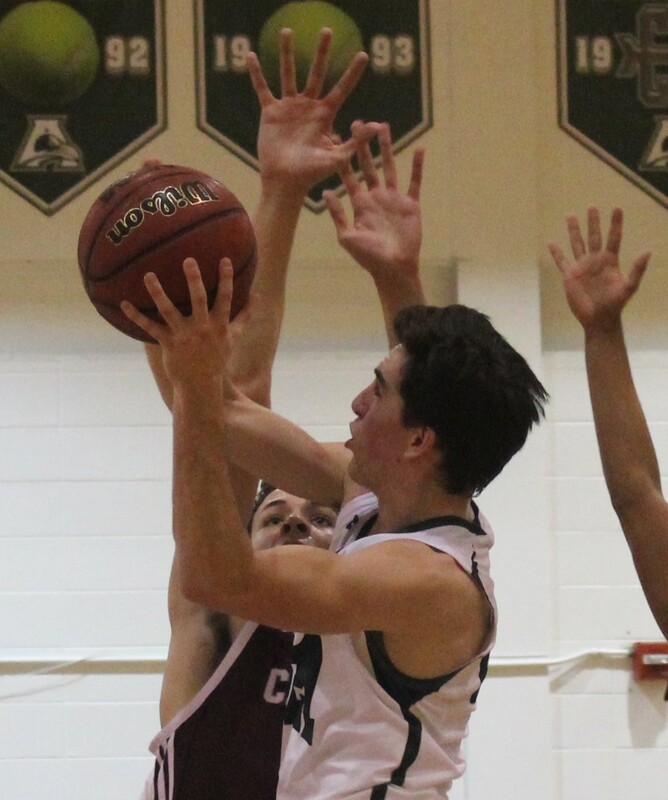 DiRenzo paced the Auks with 15 points, and Comeger joined him in double figures with 11. 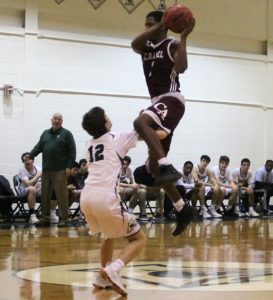 Archmere (12-5) begins a regular season-ending three-game road trip at St. Elizabeth on Tuesday at 6:45 p.m.
All of Caravel’s points were scored by their starters. 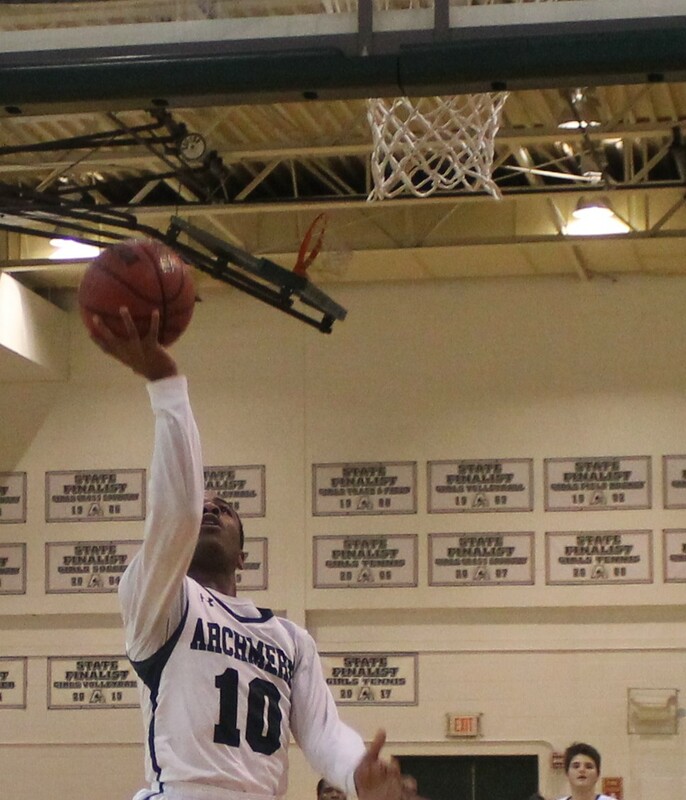 Four reached double figures, led by Nasuti with 21. 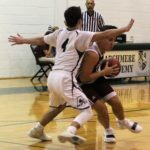 Brandon Sengphachanh had 14, and Keister and Justin Owens each scored 11. 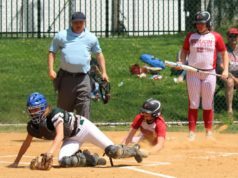 The Bucs improved to 11-4 with their fifth straight win; they will put that streak on the line Saturday at 1 p.m. at Woodbridge.